In contrast, it’s very unusual for hundreds of union-free workers to show up at committee hearings wearing their company T-shirts and proudly identifying themselves as working in a specific profession for a specific company. In fact, it’s so unusual that the crowd who runs the legislature is perplexed about why it is happening. The California Labor Federation, AFL-CIO and the State Building and Construction Trades Council of California want monopoly control of contracts and job training programs for the California prison system. 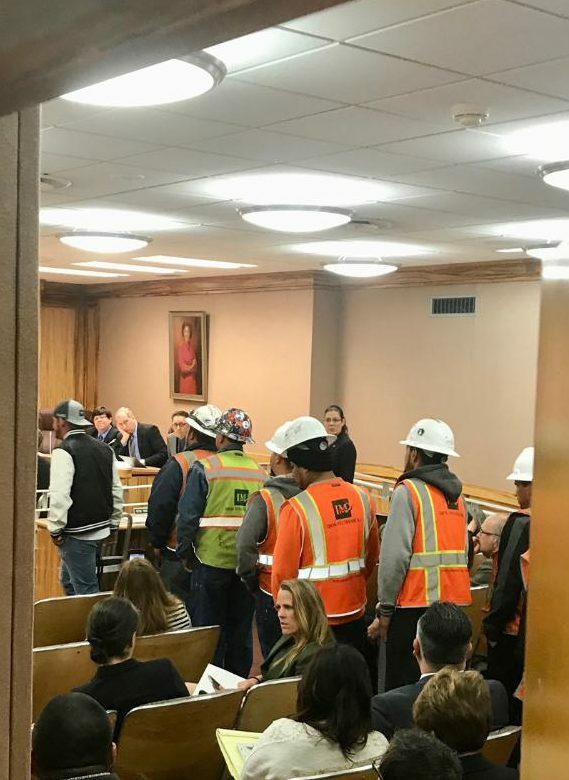 Senate Bill 825 pressures the California Department of Corrections and Rehabilitation (CDCR) to require its construction contractors to sign a Project Labor Agreement with unions as a condition of work. Why do unions want this bill? Too many construction companies without a unionized workforce are winning contracts for prison work. And too many people not affiliated with unions are helping people in the California prison system to learn a construction trade. Non-union workers have learned about Senate Bill 825 and they are fighting back. Hundreds of them attended and spoke at Senate committee meetings on March 20 and April 11 against the bill. Several of them identified themselves as former prison inmates who changed their lives and now work on prison construction contracts. Democrats and union lobbyists aren’t budging despite reasonable and specific requests to amend the bill. Senate Bill 825 has passed the two committees unchanged, on party line votes. 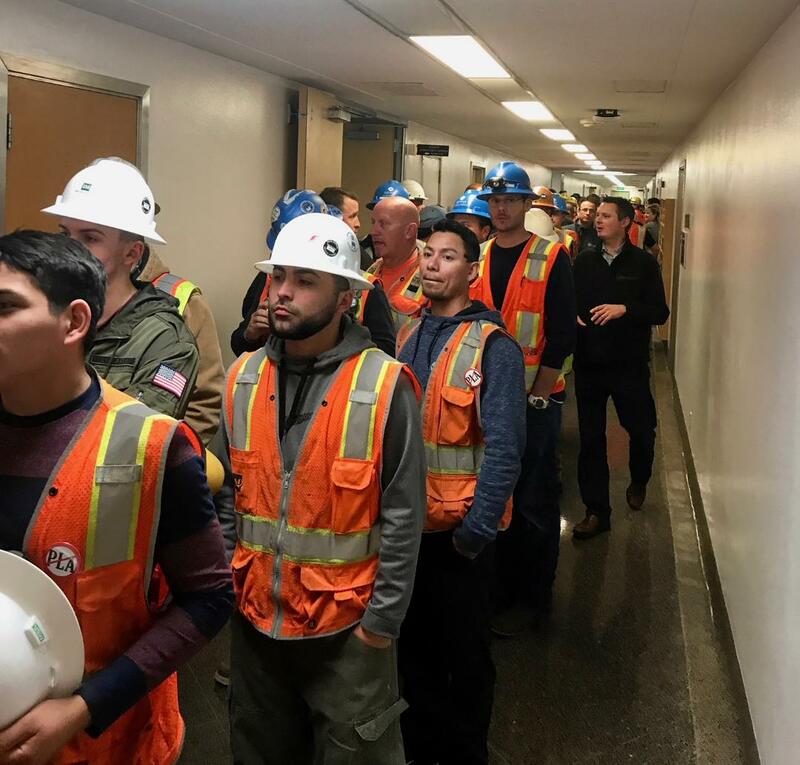 Comments overheard at the committee hearings and posted on social media reveal what the politicians and union lobbyists think about this massive non-union worker presence. Allegedly these workers are being hoodwinked into opposing a proposed law that would benefit them if they submitted to it. If Government required these workers to have union representation, they would become enlightened about the power of collective bargaining and evolve into union supporters. In the meantime, there was little at these two committee hearings to convince anyone to drive over to the union hall to sign up and pay initiation fees. In fact, one unintended result of these committee hearings is that hundreds of California workers are seeing how their state legislature operates and how union officials control it. They know now about the politicians who conclude (based on the allegations of union lobbyists) that they are unworthy of working on prison construction projects. They also see how Government can mandate a monopoly for one curriculum publishing company, for no legitimate reason. That’s not attractive to an outsider. Note: Senators Joel Anderson and Jeff Stone asked perceptive questions and voted NO on Senate Bill 825 at the Labor and Industrial Relations Committee and Public Safety Committee. Senator Jeff Stone did the same at the Labor and Industrial Relations Committee. Kevin Dayton is a California-based policy and political analyst and President and CEO of Labor Issues Solutions, LLC. This entry was posted on Sunday, April 15th, 2018 at 3:50 am and is filed under Blog Posts.